The myths and misunderstandings about divorce could make you act in ways that would hurt you in your divorce. 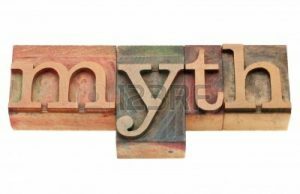 Here are some of the most common myths and how actions based on those myths could impact the final divorce terms. 1. LEAVE THE HOUSE, YOU LOSE IT. A home purchased during the marriage is a marital asset whether or not you are living in the home at the time of the divorce. Its value is included in the final property division. You don’t lose that value by leaving the home. In fact, most couples have a hard time living in the same residence during the divorce and many people need to separate during this time. However, who is living in the home at the time of a court hearing on the issue of temporary occupancy of the home will have an advantage. While the divorce is going on, it will be harder to get a court order transferring temporary occupancy away from the spouse then residing in the home. 2. EMPTY OUT THE BANK ACCOUNTS. What you owned before the divorce started is what will be included in the marital estate to be divided in the divorce. You and your spouse will most likely get one half of your marital assets in your divorce. If you fear that your spouse will empty out your accounts, it is acceptable for you to take out one-half and deposit these funds in a new account in your name alone. Taking all of the funds will be negatively viewed by the court. 3. QUIT YOUR JOB, LOWER YOUR INCOME. If you have earned income during the marriage, your income history will be the bench mark for any court orders on financial support, including child support and spousal support. If you have a job, don’t quit it or take action to reduce your earnings. The court can impute income you would have earned if you had not taken those actions. Both of your potential earnings are considered in any court decision on support, so even if you have not been earning income recently, your potential earnings are relevant. If you apply for jobs and show recent history of efforts to seek employment, the court has a basis for a finding on whether or not you could earn potential income. If the result of your efforts is obtaining employment, that is a good result. For most families facing the increased costs of two households, extra income will be needed after the divorce. You should be maximizing, not minimizing income. 4. TAKE THE KIDS AND RUN. Unless you or your children’s physical safety is at risk, hiding them from your spouse can actually hurt you in a custody dispute. You can move out with your children but, unless their safety is at risk if they have contact with your spouse, you should make sure your spouse has contact and parenting time with them after the separation. In a disputed custody case, an important issue will be how each parent supports the children’s relationship with the other parent. If you have kept the children away from your spouse and denied parenting time, that could hurt you in a custody case. 5. SPEND A LOT. Your standard of living and spending during the marriage is what the court will look at, not inflated spending after the divorce starts. If spending around the time of the divorce is unusually high, the court has the power to call that spending a dissipation of marital assets and can reduce the property settlement awarded to the spouse found to have dissipated assets. Again, most families have more expenses for two households after a divorce and so you should be reducing, not increasing your spending. Your friends and relatives may have advice about what you should do if you are thinking about divorce. Get some advice from a professional experienced in divorce issues before you take action. Linda Ojala, J.D. has been practicing collaborative divorce since 1993 and believes that most people want to avoid court and make their own decisions about their future. As a Financial Early Neutral Evaluator for Hennepin County Family Court since 2007, she has helped couples make realistic assessments of possible outcomes in court.